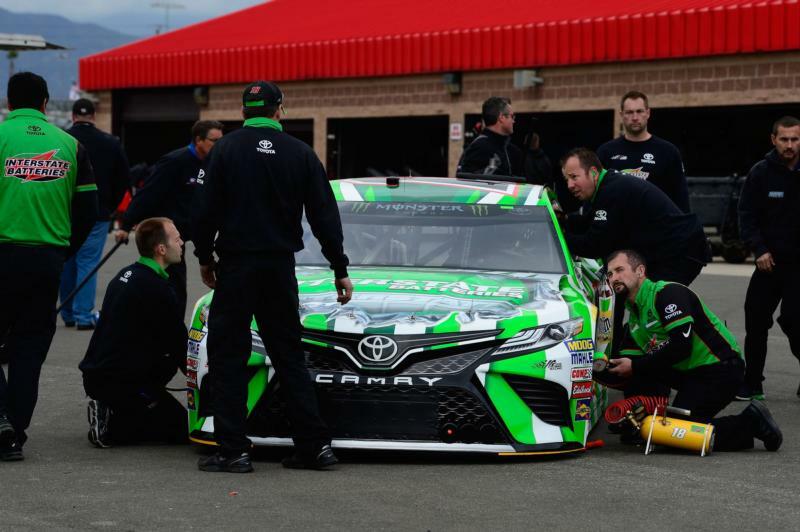 CONCORD, N.C. - After 13 cars failed pre-qualifying inspection at Auto Club Speedway last weekend, NASCAR announced they will be changing the inspection process beginning at this weekend's event at Martinsville Speedway. NASCAR Senior Vice President of Competition Scott Miller told SiriusXM NASCAR Radio Monday that the post-qualifying inspection will be combined with pre-race inspection at the Virginia half-mile oval. "Post-qualifying and pre-race inspection are going to be lumped into one major inspection," Miller said. "We are actually kind of looking forward to that as a way forward. It would be really good if we could get it down to one major inspection for the weekend." Thirteen teams failed pre-qualifying inspection for the Auto Club 400 and were forced to start at the tail-end of the field for Sunday's race. Following the infractions, NASCAR allowed teams who competed in qualifying to purchase an extra set of tires to negate any advantage for teams starting the race on fresh tires. In the Xfinity Series, NASCAR told teams if they failed pre-race inspection at Auto Club Speedway and didn't turn a lap, they'd be forced to serve a pass-through penalty on the opening lap of the race. Hear Scott Miller's SiriusXM interview here.